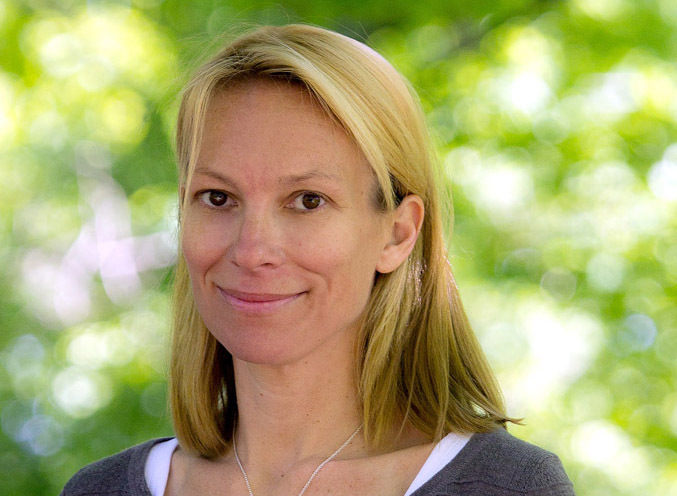 This is a guest post from animal rights advocate Zoe Helene. (@cosmicsister). I drove from Amherst, Mass., to the Wolf Conservation Center (WCC) in Salem, N.Y., to interview executive director Maggie Howell on a humid midsummer day. I’d asked beforehand if I could play with Nikai, an inquisitive “ambassador” pup being closely guarded by a large, wise German Shepard “nanny” named Kai. WCC curator Rebecca Bose, the wolf pup’s primary caretaker, had set clear boundaries for my play date. I could enter the wolf pup’s sanctuary space, but if Nikai chose not to come to me or let me touch him, I would have to leave without having that experience. To better my odds with Nikai, I’d brought a basket of treats and toys. A dried chicken strip and a no-squeak teething pull-toy were the only two things that met with Rebecca’s approval, but they did the trick. Nanny Kai got a chicken strip first, and then Nikai dove for his, devoured it, and climbed all over me looking for more. Rebecca promptly confiscated the bag of chicken strips and hid them for later because more might upset his tummy. Tough love. Nikai didn’t seem to mind. He let me rub his belly and the soft golden fuzz on his ears. He was all boy—cuddly, curious, feisty and full of himself in all the right ways. He looked into, rather than at, me with keen, kind, undeniable intelligence. At eight weeks old, he was already carrying out his mission of helping people understand his species by bridging the worlds of wolves and humans—as if he were born for it. Nikai was, in fact, carefully selected to be a WCC Ambassador Wolf—one of four socialized, captive-bred wolves (including charismatic Atka, intense Zephyr, and shy, graceful Alawa) who roam in open spaces, close enough for visitors to make deep eye contact, at WCC’s 26-acre facility. 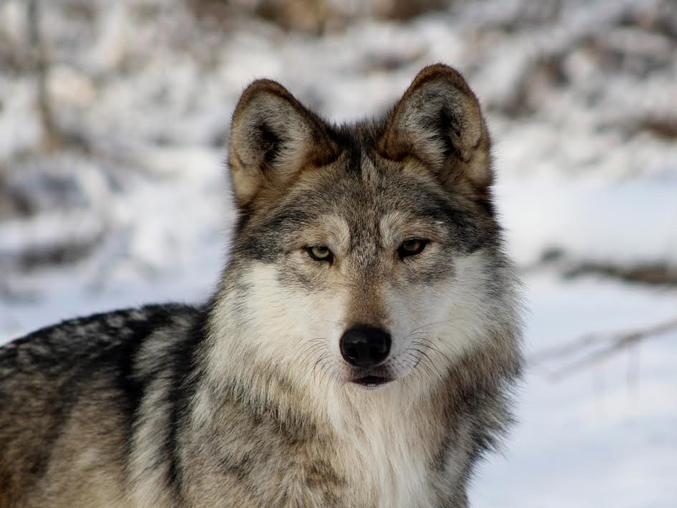 WCC, the preeminent facility in the eastern United States for captive breeding of critically endangered wolf species, is also home to about 30 Mexican gray wolves who are being reared for release into the wild through the Species Survival Plan (SSP). Ambassador Wolves are key players in WCC’s mission of helping people understand the species and its complex, highly politicized plight. As Nikai played with the pull-toy—just like the three Siberian Huskies I raised—I thought about the sacrifice he’s making. He’s very well cared for and loved dearly, but Nikai will never be free. Maggie and I talked about that as well as her particular passion for Mexican gray wolves (the smallest and most genetically distinct sub-species of the North American gray wolf, known also as the lobo) and the crucial work she and her colleagues are doing to save a species in peril. Because the sad fact is, without efforts by organizations such as WCC, both Mexican gray and red wolves would still be extinct in the wild and the remaining gray wolves would be right behind them. Before recovery efforts began, the Mexican gray wolf population was down to five: four males and one female who was pregnant with seven pups. These last remaining lobos were captured in Mexico from 1977 to 1980 and transferred to the United States to establish a certified captive breeding program. These wolves are native to the North American West, Southwest and northern Mexico (lobo is Spanish for wolf), and they ran free from prehistoric times until the last century. Extreme predator removal efforts, sanctioned by the U.S. government from the late 1800s through the mid 1900s, exterminated the species from its wild ancestral landscapes. Under the Endangered Species Act, reintroduction efforts have established a small population of 109 lobos, descendants of the last remaining Mexican gray wolves who were captive bred and released into their native territories. It’s a long, sad story wrought with fear, ignorance and profit, in which antiquated hunting laws and private (cattle) industry powers get in the way of real progress. Even with an official protective “endangered” categorization, lobos face threats in the wild. Because the U.S. Fish and Wildlife Service (USFWS) has designated the species “experimental non-essential”—a loophole that allows extra leniency for “management”—lobos are allowed to roam only in small areas of public land also used by the livestock industry as inexpensive, subsidized grazing land. Occasionally a wolf kills a sheep or cow, and the “experimental non-essential” designation and accompanying special section 10(j) regulation allows USFWS to remove or kill the wolf. A few highlights from my conversation with Maggie follow. What goes on here at the Wolf Conservation Center? We nurture wolves, advocate for their rights. We teach about 40,000 people a year (adults and kids, but mostly kids) about the importance of wild wolves in the wild landscape. We have 24 wolves and 13 Mexican gray wolves here, but they’re not on exhibit for the public. They’re in five different secluded, private enclosures. Our goal is to release them someday into their ancestral wild lands. You’re also the coordinator for the Northeast Wolf Coalition, an alliance established last year. What’s that all about? We’re uniting conservation organizations in New York, New England, and beyond to raise awareness and teach people the biological, economic and ethical reasons to facilitate wolf recovery. How did we get to this point in the first place? Wasn’t it the government that gave the command to massacre the wolves—or was that coyotes? Basically, it was everything. It was a way to get carnivores, or any other species they felt was in the way, off the landscape. It was about looking out for your livestock and clearing the land for farming. It was also a way to make a living. It was the same with bison. 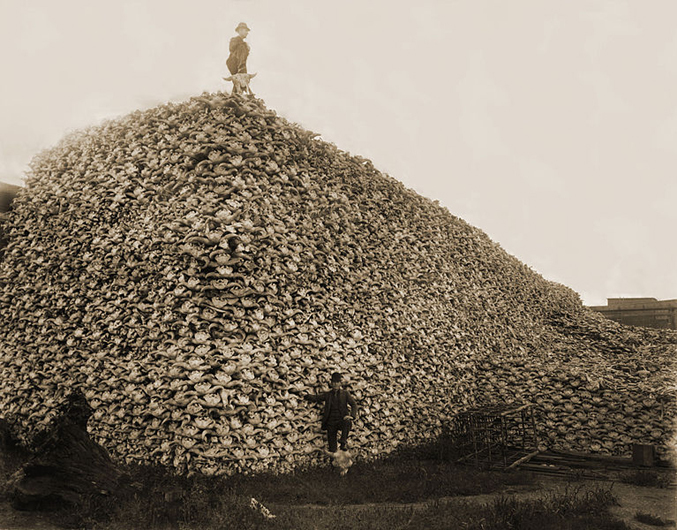 Have you ever seen that photo from the mid 1870s with the hunter standing in front of a mountain of bison skulls? Mind-blowing. Everyone should know that photo. It should be in every schoolroom, every public library. It’s one of those pictures that tells a thousand words—stating the case on our (not-so-distant) cultural history. Those skulls were ground up to be used as fertilizer. We recently screened a Natural Resources Defense Council video called Wild Things about Wildlife Services, which is a misnamed agency within the USDA that kills off wild animals. Every year, Wildlife Services kills more than 100,000 native carnivores and millions of birds, and they’ve been getting away with this for almost a century. Taxpayers foot the bill. You see wolves playing a role in the economic system as well. The economy is the ticket for wildlife. Yellowstone Park and the greater Yellowstone region, for example, have hunting and trapping seasons. Last year it cost Montana residents $19 to go out and kill a wolf. That was the wolf tag price. It seems unbelievable to me to put a money value on a living being. But Yellowstone visitors spend $35 million annually, specifically with the hopes of seeing a wild wolf. For the sake of simplicity, let’s say that right now there are about 100 wild wolves in Yellowstone. If you take $35 million and divide it by 100, you get roughly a monetary value of about $350,000 per wolf. Plus, these people spend their money at stores and hotels and restaurants so the local economy also benefits. Fewer people are likely to visit Yellowstone if these hunts continue. I support the wild horse warriors, and most of what they’re dealing with is perceived competition for government-subsidized wild rangelands by cattle ranchers. It’s very inexpensive to graze on public land, and most of it is public land. Powerful groups of people are passionate about what is going on with these wild horse roundups, and so much of what is happening with the wolves is very similar. It’s either recreation or industry; in this case it would be the livestock industry trumping the intrinsic rights of many species or the recovery of the species. 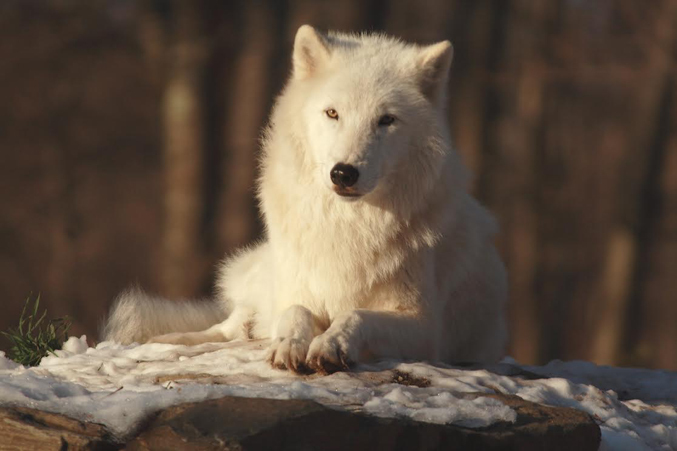 Charismatic Arctic Ambassador Wolf Atka • Ambassador Wolves are key players in WCC’s mission of helping people understand the species and its complex, controversial, and highly politicized plight. The Wolf Conservation Center’s “Rock Star”, Ambassador wolf Atka has visited over 200 schools, nature centers, museums and libraries helping people learn about the importance of his wild “brothers and sisters”. He loves to travel and has a spectacular howl, which he enjoys sharing with audiences. Tell me about your wonderful Ambassador Wolves. Our ambassadors are raised from a very early age by devoted staff and volunteers. They help teach visitors and students to understand the importance of their wild kin through personal interaction. They’re really the ones on the front line of the lesson, and they will never live free in the wild. It truly is, and it isn’t like they have a choice. We try to find a new way to thank them every day. We’re constantly asking ourselves whether it’s worth the sacrifice they make for their wild brothers and sisters. So far I think it is, especially because we’re so close to New York City. People who visit us here actually think about wolves when they might not normally think about anything even close to wolves. Through the Ambassador Wolves, they feel a very real connection. It was such a treat to hang out with Nikai! We only do this with Ambassador pups for about two months with the public. Developing a basic comfort level around people is vital for them to become an educational ambassador and leading a happy and healthy life at the WCC. Wolves have such a close kinship to dogs, and so many people are crazy about dogs. You would think that more people would be advocating for wolves. You’d think. I don’t understand why that connection isn’t there. I wish we could get more of the dog people involved. I like to look at the wolf as Mother Nature’s dog. Rebecca Bose with Lobo Pup • “Being curator of these precious critically endangered lobos is a privilege, and holding this amazing new life in my hands is what it’s all about.” – Rebecca Bose, Wolf Conservation Center Wolf Conservation Center’s Curator, Rebecca Bose, bottle feeding one of F749’s pups from 2013. Captive breeding is surely a desperate measure, but if you weren’t doing this, these wolves would be extinct. Lobos were just about “extinct in the wild,” right? Yes. The red wolf and Mexican gray wolf were in crisis and about to go extinct in the wild when we took the last remaining wolves into captive breeding programs. What’s it like for them in captivity? Most of our wolves are off exhibit so they don’t become habituated, which means we almost never get to see them—which is hard for us because of course we love wolves. It also means they get appropriate food such as road-kill deer. They can also hunt within their fenced-in territories. They have a lot of natural social interactions. We let them be wolves as much as we can because how better to prep them for the wild? Do the wolves have names other than the numbers? We keep the alphanumeric names for the educational component and also because we want people to realize that these wolves are something much bigger than just our facility or their pack. They are part of a desperate recovery of their species. 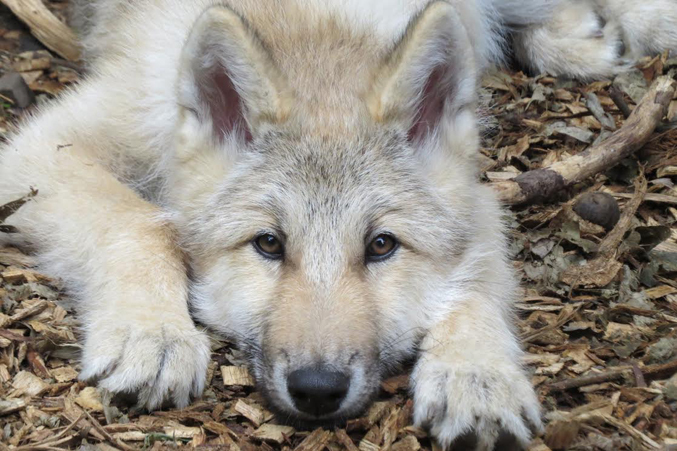 How do you decide which captive-bred wolves get released into the wild? Genetics governs most decisions. 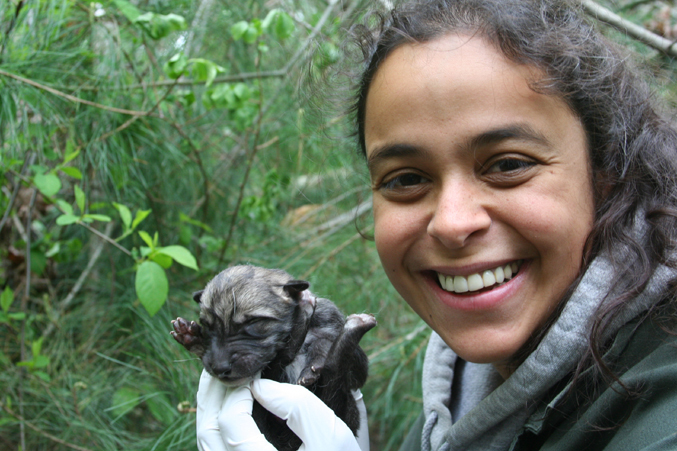 They look for wolves that will enhance gene pool diversity in the wild landscape. Behavior and health also play a role. A wolf that’s been on exhibit his or her whole life and likes people is not a good candidate for release. The wolves most likely to be released because of genetics are placed in facilities where they can be kept off exhibit so they don’t become accustomed to human beings and stop responding to humans the way they naturally should. Most wild wolves are naturally fearful of people—or perhaps have learned to become fearful of people because they should be. Many people are fearful of wolves! Our culture insists on continuing to teach children that wolves want to eat us. And we’re not on the menu. We’re just not the type of animal that wolves would be looking to eat—unless they were truly desperate and there was just nothing else. You would think that as a culture we could mature beyond believing in fairytales with antiquated ideas and villains based on ignorance! It must be difficult to fight that. What’s the most challenging thing you face in this work? When our wolves get killed. It’s always a risk when you’re doing the absolute best thing for them, which is releasing them into the wild, and then they’re killed by criminals. The first two wolves we released were both were illegally shot and killed shortly after we released them. What is the most joyful thing you get to experience? The most joyful part of this work is releasing wolves into the wild. LoboWeek • The Wolf Conservation Center (@nywolforg) and a consortium of wolf-advocacy groups have declared March 23 through March 29 as #LoboWeek in an effort to get the word out. The enclosure cameras were made possible by a grant from Patagonia. Wolves are essential. Please, protect them! I have a lot more animal friends that I trust than human. Look above at the mountain of bison skulls. These were killed off (Controllers of USA were paid lots of money from British & others) to kill these beasts off. Why? To conquer the Native Americans. People who don’t like immigration need to go back to where they came from. It wasn’t the Americas.! WOLVES need to be protected. They are an essential part of our ecosystem. TO keep killing them is MURDER…. I learned a lot from this article. Noticing how often the wolf is portrayed in film/literature/news as harmful to humans ….I wonder if anyone is commenting/correcting the people involved who do such harm? It might do some good. Might not. Apparently some of the leading voices in the wolf conservation community reached out the people who made the movie “The Grey”, and they even got through! But there was no response. It’s such a shame because now that movie is out there teaching people fearful, false prejudices. And yes, Liam Neeson was informed, so he knows. I now boycott Liam Neeson movies. What a shame he didn’t turn the wolf-hating disaster into an opportunity to speak out for the wolves! In my book — he still can. Come on, Liam–! Your voice could make a real difference. I have always loved wolves. I have had a canine in my life but until I was able to have a wolf-hybrid did I understand devotion. My first hybrid cared and still cares for my granddaughter as her own. But the (2) new Hybrids, more wolf than the other the way they love and play with you is amazing. Little soft gunny nips on you, playing with so much care and love it scares you. They are so devoted to my family, any leave they watch for return. Their pack has to be complete. Save the wolves, they are the furry humans. They care, for their packs, as we care for our families. I’ve been an active Endangered Resources supporter since the 80’s and will continue to be now and always. STOP the needless unjustified killing of wolves at taxpayers expense once and for all! Led by our elected leaders acting on his/her own best interest with made up false information and hate towards innocent animals who have every right to co exist with humans is a disgrace! May karma meet every wolf and animal killer face to face with karma being the winner. Protect your wildlife and stop the hunting on all these animals regardless of money for tge government and regardless of what hunters want. If you citizens of the US do not get this under control there will be no more wolves or other wildlife. Everything hangs on a balance. Get a letter to your congressmen and senate and raise supreme over this. If they don’t do as you ask get rid of them in congress and the Senate. You must not give up or quite fighting. 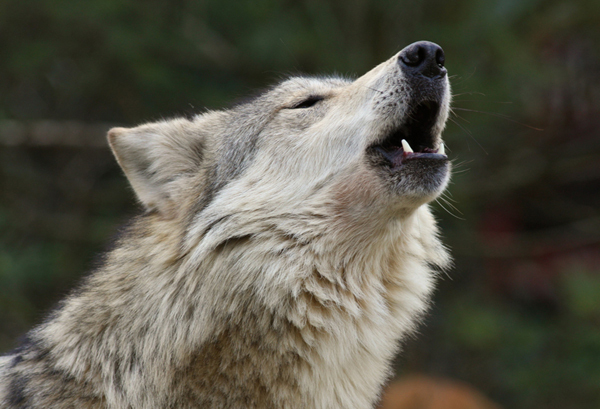 Your wolves and your wildlife depend on your voice to help them. Saving your wolves is if vital importance, not just for the presence but for future generations to come. Every voice can make a difference in the outcome of the Lobo future.